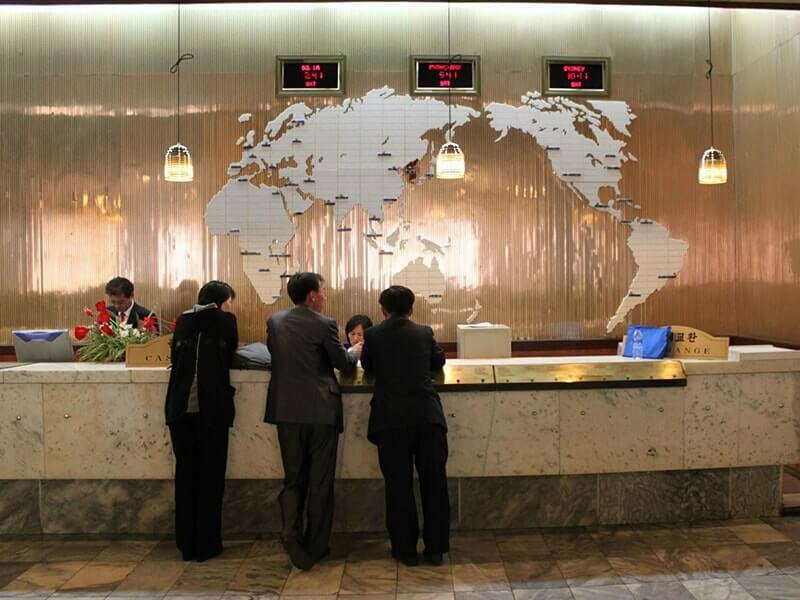 Located near Pyongyang’s main railway station station, not far from Kim Il Sung Square, the Koryo Hotel is the second largest operating hotel in North Korea, to the largest the Yanggakdo Hotel. 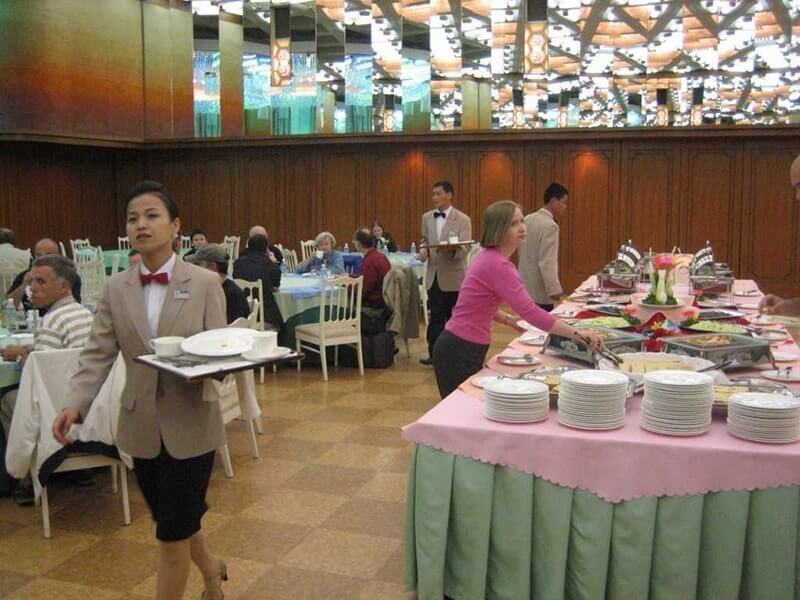 It is a well-known landmark in Pyongyang and is commonly used for academics, diplomats, business travelers and NGO staffs. 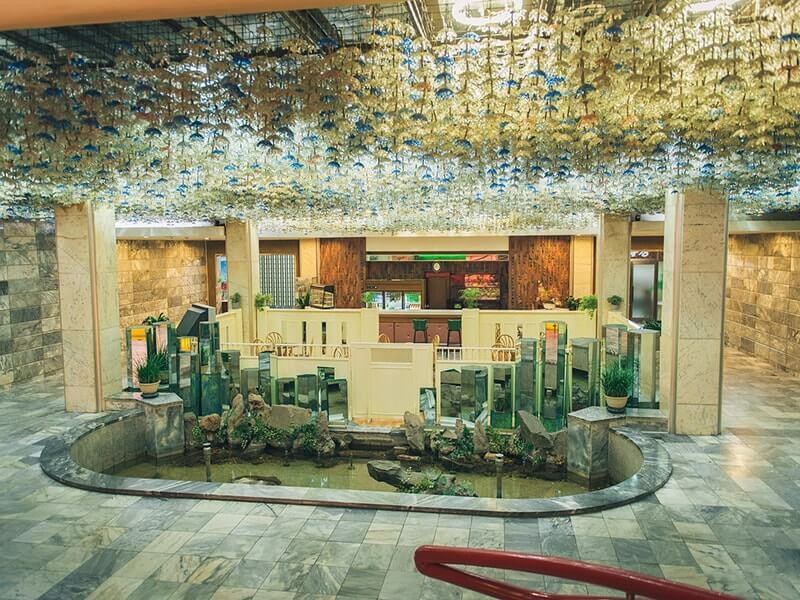 Koryo Hotel was built in 1985 under the instructions of North Korea’s “eternal president,” the late national founder Kim Il Sung. 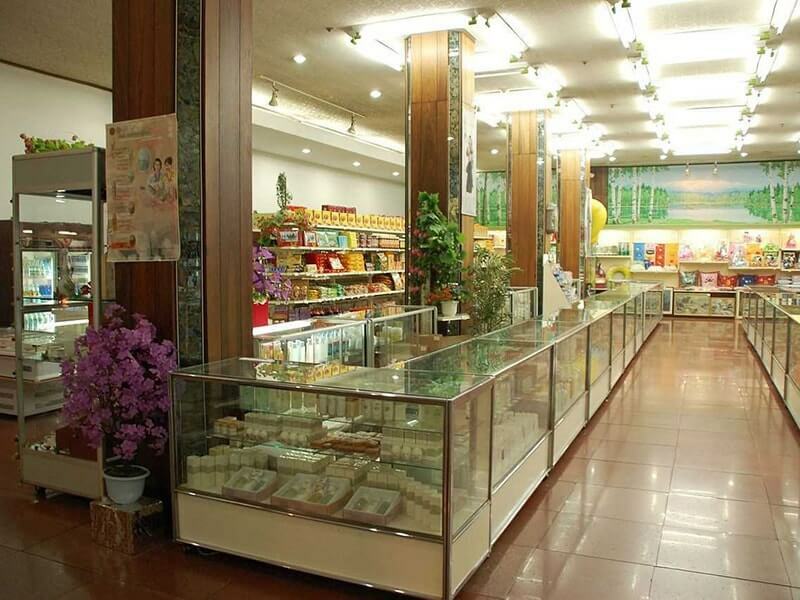 It was intended to "showcase the glory and strength of the DPRK. 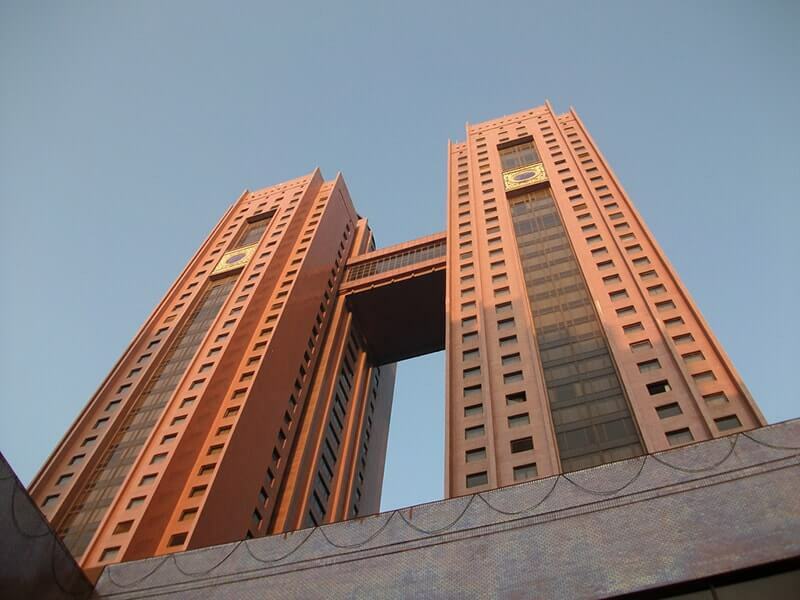 The hotel has two 44 story twin towers (143 metres tall) which are connected by a bridge on the 37 floor. 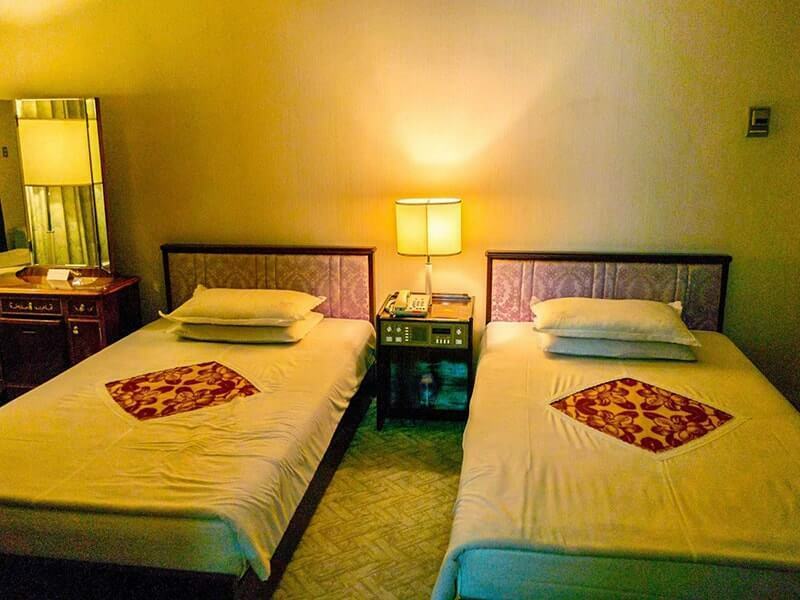 There are 500 spacious, exclusive rooms which are well equipped with air conditioning, minibar, electric kettle, separate reading area, international telephone and flat screen TVs with a number of international channels for you to choose from as well as local North Korean channels. 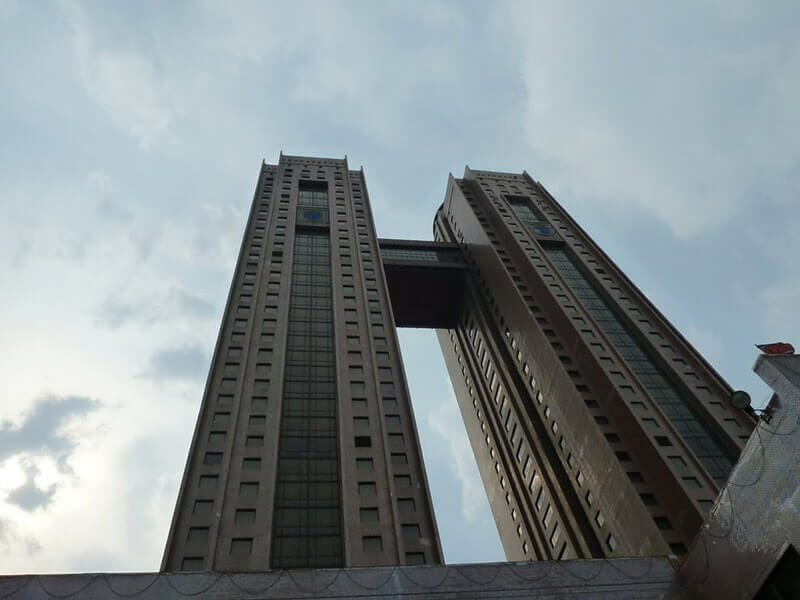 Koryo Hotel's facilities include a souvenir shop, gym, a circular bar on the 44th floor, a billiards room on the second floor, a casino in the basement and two cinemas; one with 200 seats and one with 70 seats. After a long day of sightseeing, you can enjoy the swimming pool, the spa where you can have a massage and the karaoke area. 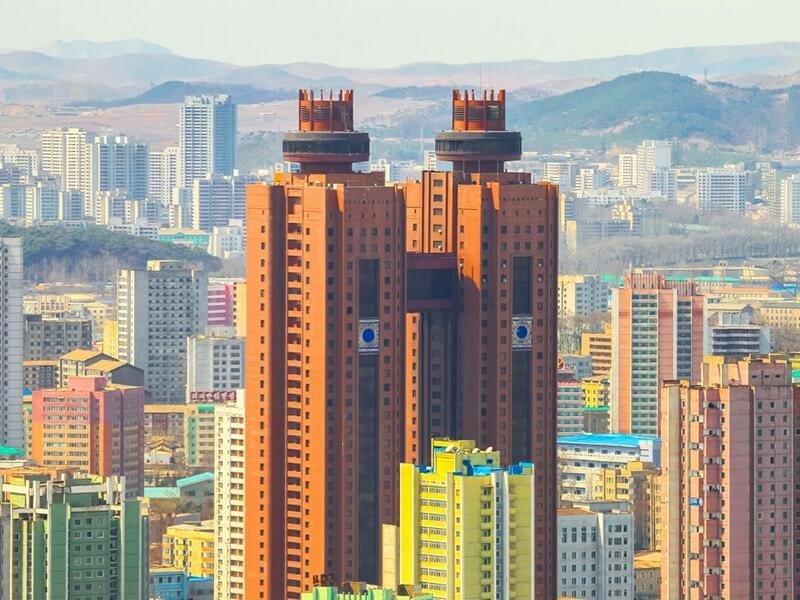 Each tower is topped by a revolving restaurant, with excellent panoramic views, perfect to simply sit back and relax overlooking Pyongyang. 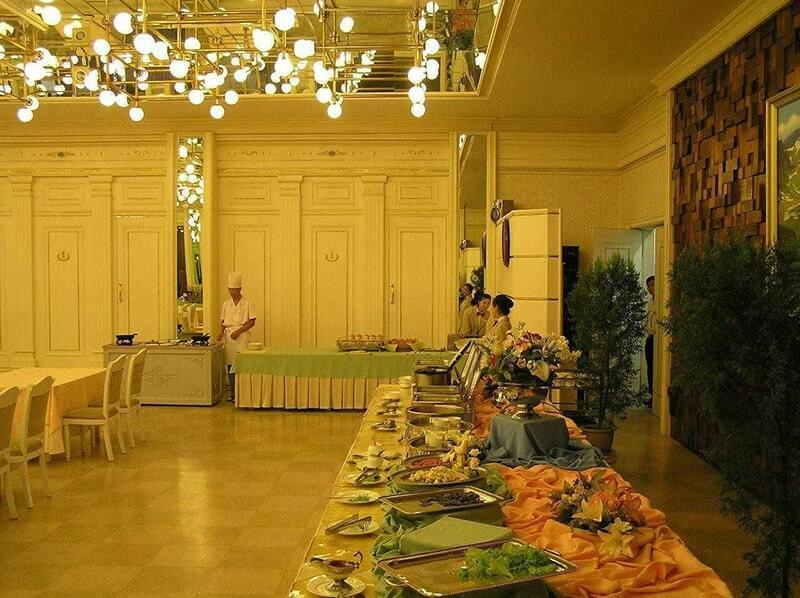 Aside from two restaurants on top, the Koryo Hotel also has four other restaurants including a Japanese restaurant and a Korean BBQ restaurant.